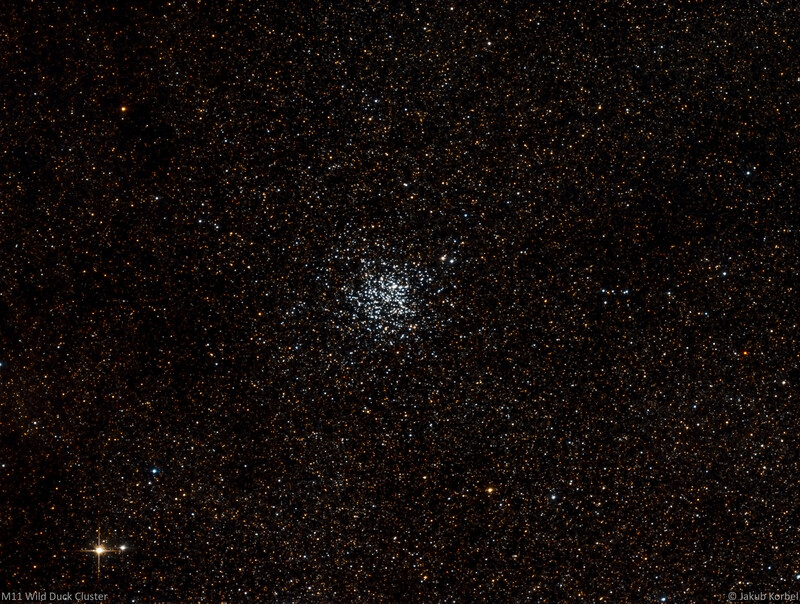 Wild Duck Cluster is one of the biggest known open star cluster. It’s located in constellation Aquila (Eagle), it contains approximately 2900 stars (you can count them on the picture) and it’s very far – 5500 light years from the Solar system. The name “Wild Duck” comes from the observation of Admiral Smyth – he saw wedge-shape group of stars. I don’t know about you, but I don’t see any V-shape formation, maybe Admiral Smyth was observing during very cold night and tried to warm up by grog or something.